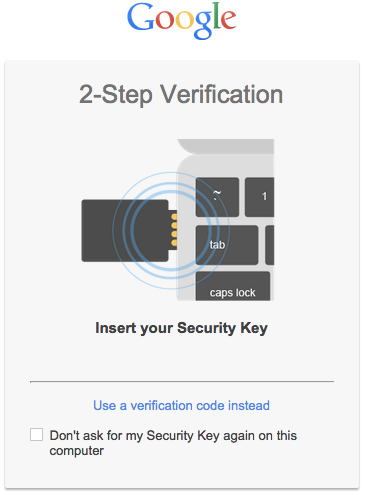 If you want full security for your Google Accounts than you must enable 2-Step Verification which adds an extra layer of protection to your account. Once enabled, you’re asked to verify your account either by using phone verification or by using a Google Security key, a device which you can attach to your key ring just like any regular key but it is for your account. Once enabled you will need to use the Google Security Key to be inserted every time you log in to your Google Account. Now what is the Google Security Key and how it works? Basically it is a USB second factor device that works after it does verify that the login site is indeed Google’s website and not some phishing site. To use it simple insert the device into a USB port and tap it when prompt at Chrome during login. If you would like to stay logged into the particular device than you simply select the check-box “Don’t ask for my Security key again on this computer” and you will no longer be asked to enter the Security Key any more. Google Security Key and Chrome are incorporated with the open Universal 2nd Factor (U2F) protocol from the FIDO Alliance which provides the standard for this service. 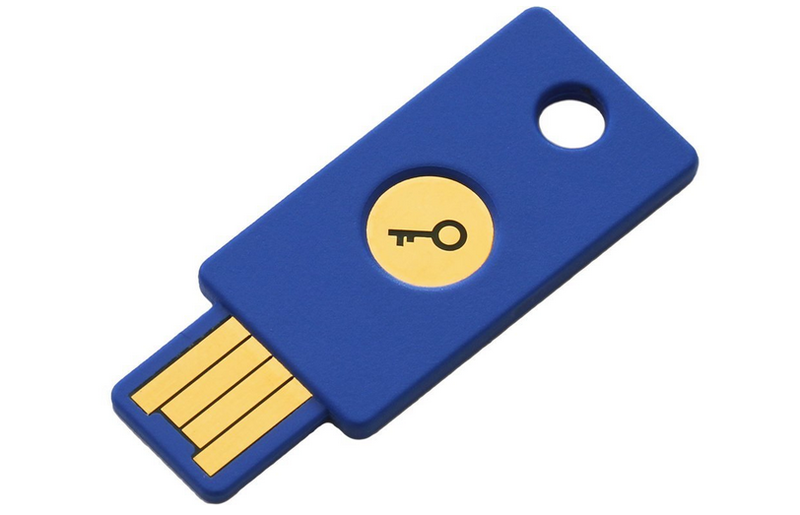 Google Security Key (FIDO U2F) devices can be bought from here and also here. IT’S JUST THE OPPOSITE! i DO NOT WANT TO STAY LOGGED IN! I WANT THIS COMPUTER TO STAY UNTRUSTED! YET THAT BOX IS CHECKED EVERY TIME, CAUSING ME TO HAVE TO UN CHECK IT, EVERY TIME!!!!!!!!! I’ve got the same problem, the “Don’t ask for my Security key again on this computer” is checked every single time by default. Default I want it to be unchecked. Strange thing is when my wife logs in to her Chrome account, this box unchecked on the same computer. So it seems to be configurable, can’t find it though. Same here – this is *NOT* secure. Google need to change this! !